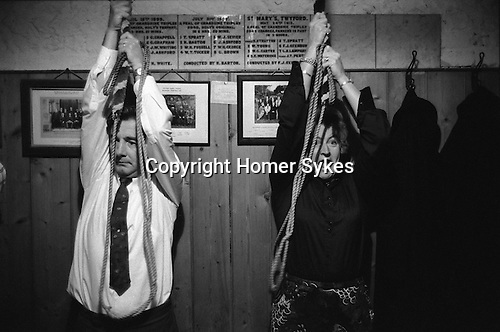 OCTOBER BRITISH FOLK CUSTOMS ENGLISH COUNTRY FOLKLORE TRADITIONS, BEQUEST Bell Ringers Feast, Twyford Hampshire. Bell Ringers Feast, Twyford, Hampshire. England 1975. St Marys Church Twyford.